Tank available for free. Just Pst me. He was level 77 Mage, ( I was 78) I said yes. I finished checking the AH on my Tank, and had been planning on Queueing anyway. So we queue, and I don’t get an insta queue. Waiting on a healer. I suspect because of this.. 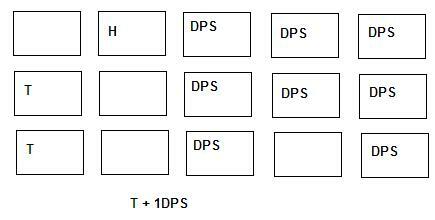 I come along with one DPS – and I couldn’t fit into group 1 2 or 3, so my Party, A Tank and a DPS gets shuffled all the way down the bottom so we fit into a group together. “Sorry, It doesn’t normally take this long” I apologise after 5 min – like it’s MY fault the queue isn’t instant. More like it’s his fault. ^^ see above. “Going for a smoke” he says. 1 min later – Queue pops. I click it. Waiting.. Waiting.. he is still not back – We miss the Queue. “You have 30 secs” in party chat. about 40 sec pass and I leave party. He queues, and it pops in a about 2 min. I blame the posts from Klepsacovic from Troll Racials are Overpowered “Dear Blizzard, Please end our loneliness” and Adam from The noisy Rogue’s “I am a Social Leper” that got me worried that I am not friendly enough, and that I should give random people who whisper me nicely more attention, and maybe they are just trying to be nice, and friendly, and that they don’t want just to sell me gold, or hack my WOW account. I can do reasonable requests. Not only did he make me wait till he finished his BG. ( and complained that all Alliance are nubs) He then made me queue longer, then he goes for a smoke making us miss the queue we had already waited for, and then wants me to wait for him while he does something else. I should have said no, but I was trying to be nice. . It could have been a wonderful experience, and I could have waxed lyrical about the benefits of running with random people. It was about 16 min of my life wasted – for a stranger. No personal benefit. The only thing he learned about me was that this was going to be my 5th 80 – and all I learnt was that he smoked, and cared enough about his PC/whatever to not do it at the computer. He didn’t ask in trade, didn’t offer gold, he just whispered random people his request hoping for a bite. He did it while in a BG too, forward planning his convenience at the cost of others. It’s reasonable to ask someone to wait a couple of min, but you should do what you need to do first before inconveniencing people,and not make people wait for you when your the one doing your own thing. I am not at your beck and call. People wonder why people are so un-helpful. It’s partly why I don’t respond to LF enchanters anymore. No one is bloody organised enough before they ask for people to do what they want. IF YOU SAY NO – I shall say no too. I remember having a massive friends list in BC, complete with (tank) and (heals) tags for people (I was dps). This friends list is now down to about 10 people who are all real ID people, which is kinda scary. I simply don’t have ‘friends’ anymore. If I need someone for something, I either check guild, trade, or then I LFG it. I think this would hit people who are in smaller guilds the hardest. This also reminds me of a pug ICC25 I joined on a random alt that ended in failure (As a warlock who was not top geared in the raid, I was finishing top 3 on damage done for the first 4 bosses) but it took ages to fill. The raid leader had no idea what he was doing in terms of building the raid (approx nearly 13 melee inc tanks). I got an invite, waited, waited, waited, finally a BG popped so I took it, and then logged, did a random heroic on another toon, then came back and it still wasn’t full. The time wasted did end up being worth it (I won a raid rolled BoE which sold for a few thousand gold) but ultimately it’s a repeating pattern I have seen over and over. That is scary. I remember in BC recruiting people to my guild when they were wearing blues because I knew they were amazing from 5-mans. I saw this priest that was just amazing, we geared her up quickly in BT. Heck, even got her husband to play with us as a Resto Shaman, it was pure win. It’s kind of loss with anonymity of LFD. That said, if I met a good random from my server, I absolutely will try to make friends. 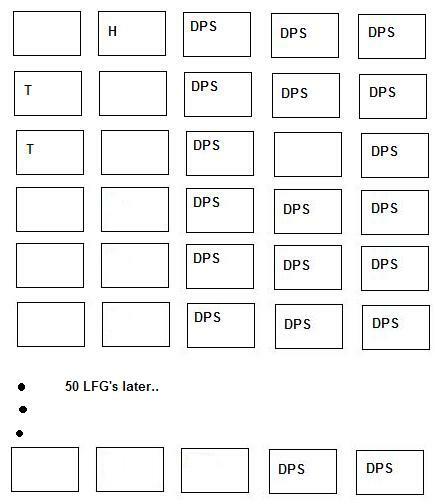 Good dps help enhance my experience, so if I am tanking, I’ll definitely queue them up. Oh I know what you mean about enchanting. I ranted recently about people who think that I should a)travel to wherever they are (probably the Exodar), and b) figure which gem cut they need, and c)hang around until they are ready — and all for a 5G tip. I don’t think so . . . and I don’t know why anybody would? Being friendly is good. Being socialable and all that. Helping people out a bit is good. But you should keep track of your own interest. Even if you’re going for a greater good, you can still ask “am I saving him more time than he is wasting mine?” If the answer is still no, then it’s a terrible idea to go along with it. It’s good to set the standard of being polite and to be polite when politeness is shown. But to be polite when impoliteness is shown, that encourages impoliteness. Making you wait five minutes is impolite, as is the smoke thing. So screw him! Keep trying! But be careful. Lol, that’s what you get for trying to be nice. Sometimes the queues are so weird. You understand the queue system. However this means you should know that a DPS will elongate your queue even if he is there instantly. So you should only queue up with a DPS if he pays you or you know he is really-really good and his performance will outdo the time lost to him. When people go “LF enchanter” (or whatever ridiculous butchering) I link them the Enchanting from one of my alts. That alt has an enchanting skill of 75. That’s LF Fairy Godmother, not just LF Chanter! You’re probably being too nice, but then that is a very subjective and personal thing. Go with how you feel on a case by case. I would have just told him I was not willing to wait, and then left group, but then I will ask in guuld and then jump straight in. Given how much of a pain tanking is sometimes, it is a good reward that we don’t have to wait for a very long time. Think about how many folks would tank if it was the same experience, but with 30 minute wait time added? I’d say none. The quick queues have made the experience better, certainly wouldnt have leveled so much in dungeons as a dps with wait times as long as the actual instance. I was only being nice in a moment of weakness – I can’t say I won’t do it agin, because some guy was in icecrown begging for chillmaw so I offered to tank for him. It just needs to be less time consuming.